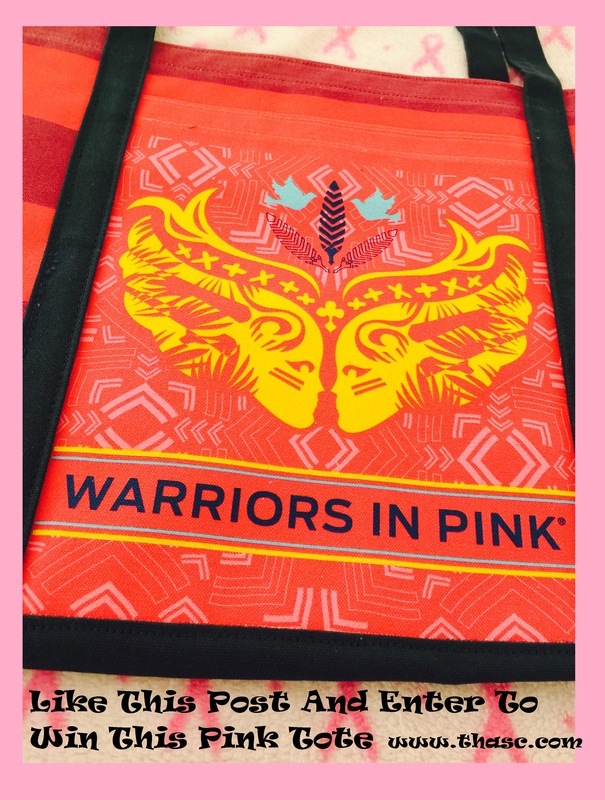 Like this post on Facebook and enter to win this beautiful Pink Tote Bag and show your support for Warriors In Pink. Ten winners will be selected on Monday, October 26, 2015. 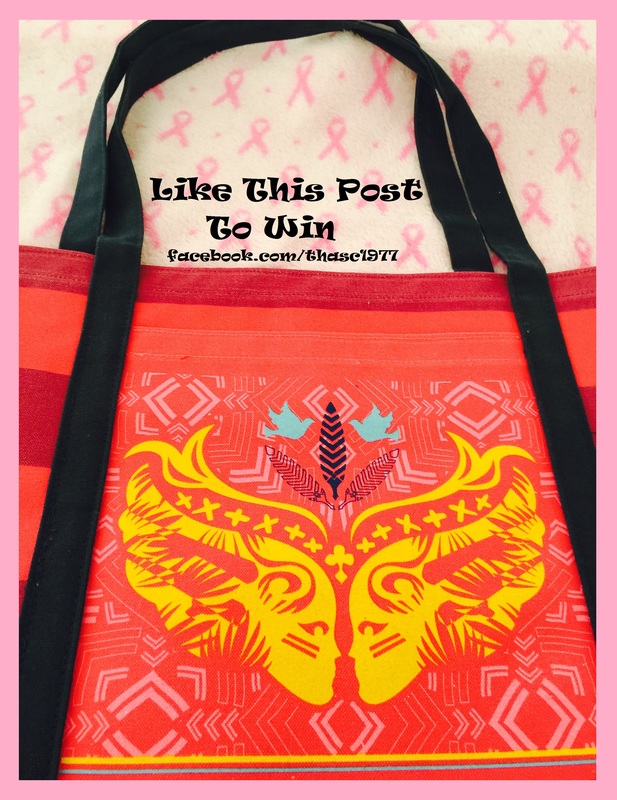 Contest ends Sunday, October 25, 2015. Enter as many times as you like.